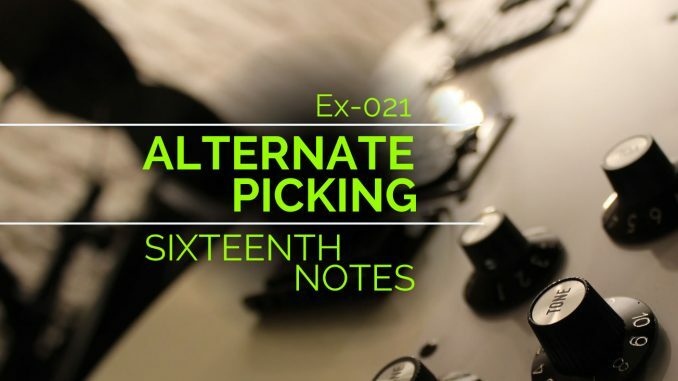 Practice your alternate picking over sixteenth notes with this exercise. 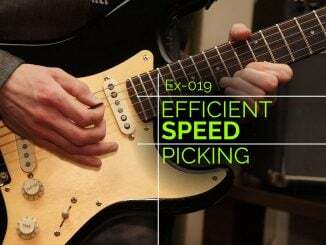 Sixteenth notes are great for alternate picking because they must be played quickly and alternate picking helps you play faster! 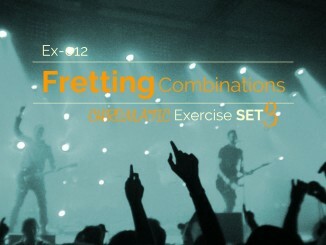 This one focuses on four adjacent frets. 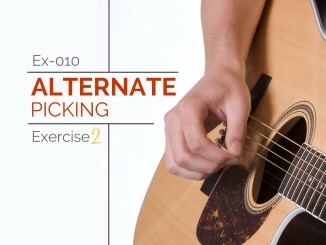 It is a great way to train both your picking hand and your fretting hand. Theo Kosmidis notated and played the audio for this exercise. It is played at a brisk tempo. Practice with a metronome at a slower tempo to start. Notice how this exercise shifts down the fretboard as it is played. You can repeat the pattern up and down the fretboard. Enjoy!